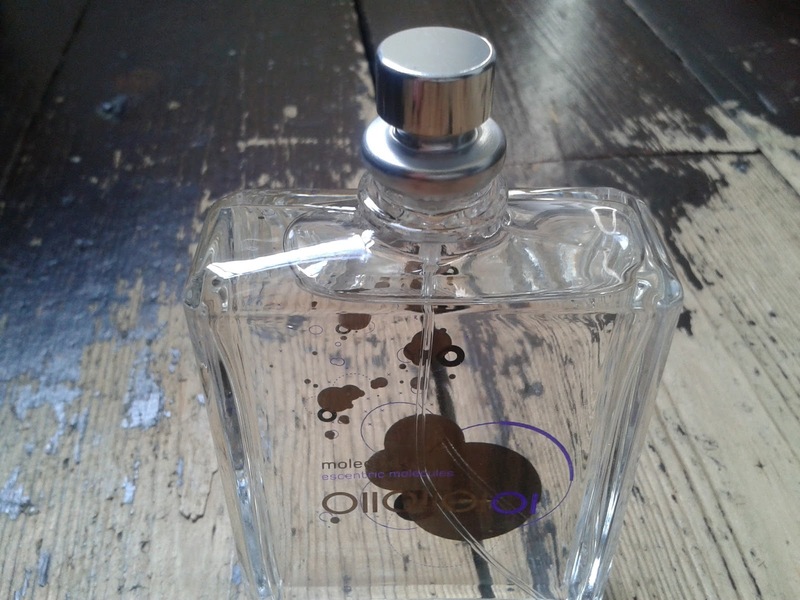 Molecule 01 by Escentric Molecules is a unisex scent which is said to have a pheromone effect. Truly! It created a massive stir when it launched in 2006, with a host of celebrity fans including Madonna and Kate Moss, who reportedly ordered a case full of the stuff. If you Google it, you’ll find it continues to enjoy cult status to this day. 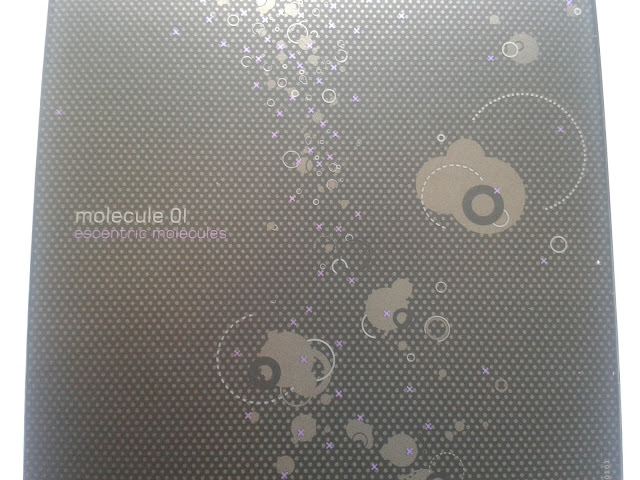 I’m not sure where I have been hiding for the past nine years, for I had never heard of Molecule 01 until recently when I was offered to sample the scent! But as soon as I read up on it, I was sold (well, on the theory behind it at this point). 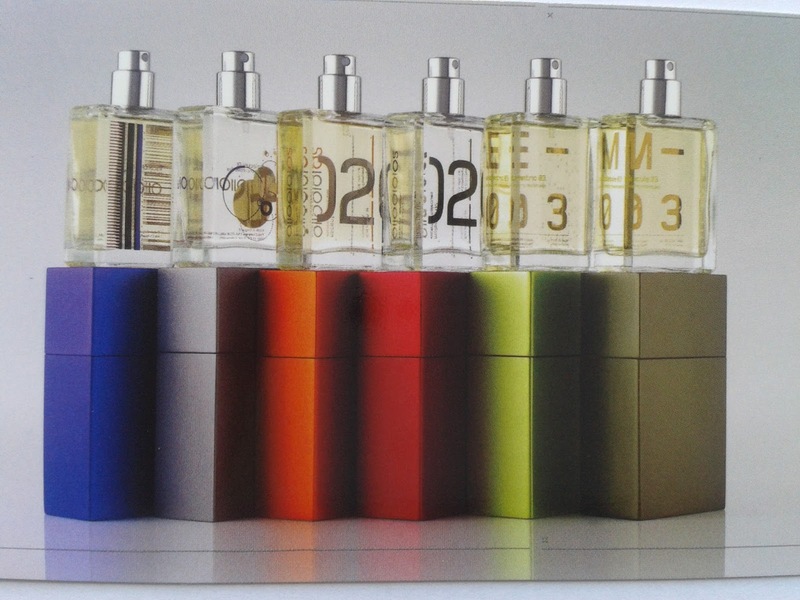 Molecule 01 is a single scent, the aromachemical ‘Iso E’ in its pure and absolute form. Traditionally, it is used as a perfume basenote that adds allure to a scent. It melds with our natural pheromones, so it smells different on every wearer, making it a totally individual scent. 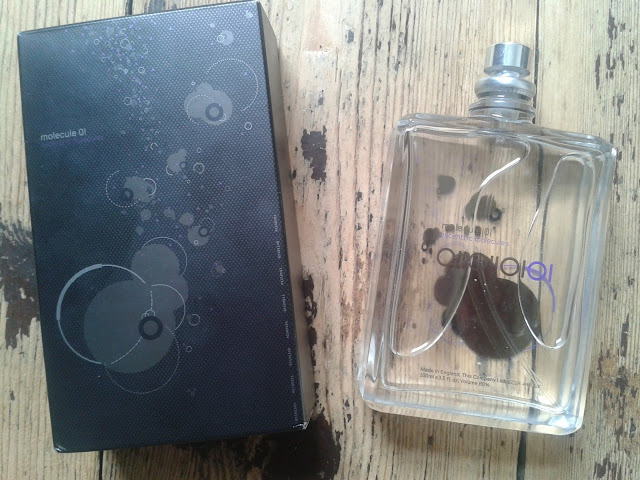 As soon I my parcel arrived, I was tearing it open like a 5 year-old on her birthday – so desperate was I to discover how this would smell on me and to test the pheromone effect too! But if you’re hoping for a big captivating scent that will have you singing sweet lullaby’s to yourself, you’re going to be disappointed. For Molecule 01 has a very subtle, velvety, woody note you will probably not smell on yourself. I can smell it, though it’s subtle - interestingly it hits you the instant you spray it, disappears, then reappears a little later (weird!). This scent is not about the ‘me’, the wearer; it’s all about the effect it has on others. So let’s get on to that. I’ve been wearing Molecule 01 pretty much daily for the past two weeks. I’ve had a few girlfriends say, ‘oh, you smell nice, what are you wearing?’ A result of sorts, I guess. In the gym, wearing it for the first time, a funny thing happened. As I was working up a sweat on the cross trainer, I started to get a stronger waft of Molecule 01. I reckon an increased body temperature and sweat was causing water (and Molecule 01 with it) to vapourise from my skin. I rather liked the aroma and kept having a sneaky sniff of my wrists – I’m sure it must have all looked a bit odd to everyone else in the gym as the sniff was followed by a lifting up of my nostrils and a muffled expression of utter pleasure. The following day my male personal trainer noted my 'you smell really nice' Molecule 01 - ooh, things are looking up! Sadly, though, not one stranger or slight acquaintance has approached me with a bunch of flowers or invitation to dinner since I started wearing it. Still, I'm the patient sort. I'll continue to wear it and will update the post if anything changes - though I'm currently on hols in Spain without said scent, so you may need to wait a few weeks for a progress report! Molecule 01 costs £65.50 for 100ml. You can buy it from Cult Beauty here. More on Escentric Molecules here. I'm waiting dearest Sissi, for my flowers ;). My husband dragging into the bedroom, oh lordy, lol! I am absolutely desperate to try this scent out. I think I'll have to wait until Christmas for it though. Sounds really different and special. My favourite is aqua di goja. I dont think I will ever swap for anything else. I never heard of these but they defo sounds interesting! Oh wow! I've actually never heard of this, can't believe it's been around since '06. Part of me wants to order it just to know what it'll smell like on me, as it's meant to be so unique! I have such an unhealthy addiction to perfume! People tell me all the time that I shouldn't wear it for things like running errands, but I can't help myself!